January 25th, 2017, BANGKOK, THAILAND – BIOSTAR recently held a successful launch event for its 2nd-generation of RACING series motherboards featuring support for Intel’s 7th-generation Core processors as well as some new other products like AM4 motherboards featuring support for the upcoming AMD Ryzen processors. Dealers together with media and power users were treated to a great occasion to get to know the new line-up of BIOSTAR products whilst also enjoying a friendly activity with fellow attendees. 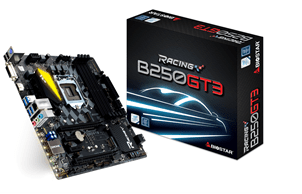 January 19th, 2017, Taipei, Taiwan – BIOSTAR is proud to announce its line-up of new motherboards based on the Intel B250 chipset as part of the 2nd-generation RACING series family of products with the announcement of the BIOSTAR RACING B250GT5 and B250GT3. Both motherboards support Intel’s 7th-generation Core processors as well as native support for Intel Optane Memory technology for next-generation high-speed storage. The BIOSTAR RACING B250GT5 will have an MSRP of $109 and will come bundled with a BIOSTAR VIVID LED fan. The BIOSTAR RACING B250GT3 will have an MSRP of $79. 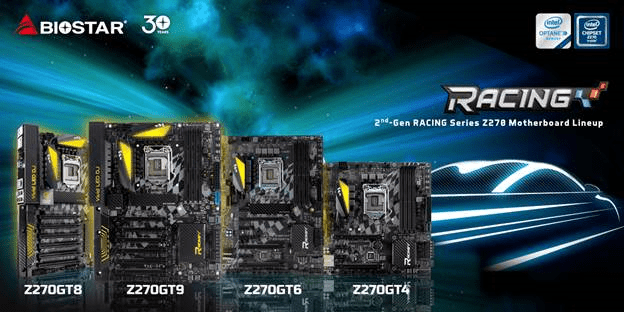 January 13th, Taipei, Taiwan – BIOSTAR is proud to announce the full line-up for the new 2nd-generation RACING series motherboards featuring support for Intel’s 7th-generation Core processors. 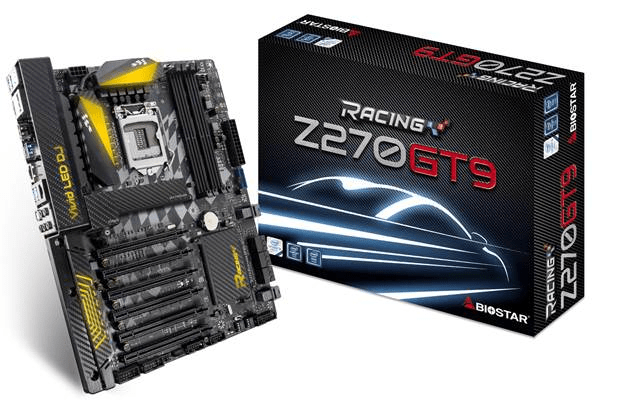 Following the announcement last week of the flagship RACING Z270GT9, today BIOSTAR proudly announces the different level products of the new RACING series family with the introduction of the RACING Z270GT8, RACING Z270GT6 and RACING Z270GT4 motherboards featuring the latest technology from BIOSTAR inspired by the quest for the best in gaming features. The 2nd-gen RACING series Z270 motherboard lineup brings a new level of gaming experience and performance-oriented motherboards to gamers and enthusiasts. January 3rd, 2017, Taipei, Taiwan – BIOSTAR is proud to announce its latest motherboard supporting the 7th-generation of Intel Core series processors with the announcement of the BIOSTAR RACING Z270GT9. 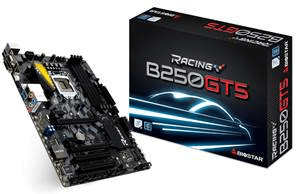 Featuring the latest Intel Z270 chipset, this motherboard supports LGA1151 processors for the latest in performance and power as well as the best features including support for DDR4-3600+ high-speed memory, six PCI-E x16 3.0 slots and two USB 3.1 (TYPE A+C) ports amongst others. Continue reading No.1 Performance – BIOSTAR RACING Z270GT9 Officially Launched! Posted on 7 Feb 2017 25 Sep 2018 Categories News CornerTags BIOSTAR, Motherboard, Product Launch, RACING, Z270GT9Leave a comment on No.1 Performance – BIOSTAR RACING Z270GT9 Officially Launched!